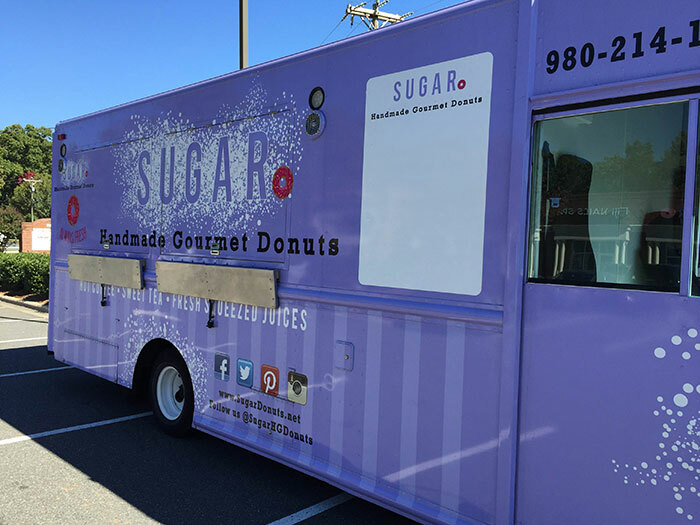 SUGAR Donuts, the popular Food Truck Friday mainstay, will open its first retail location in Ballantyne this Saturday, October 24. 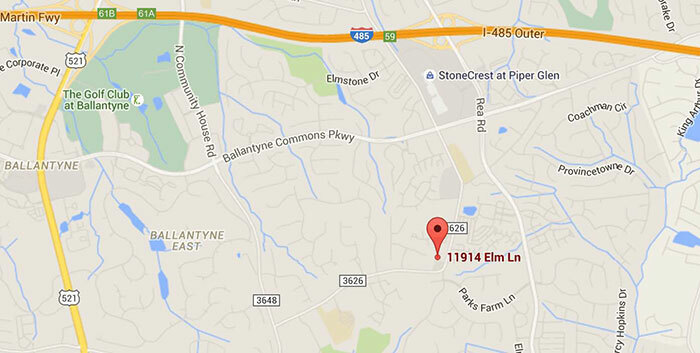 Charlotte Agenda took a behind-the-scenes tour of the new location at 11914 Elm Lane in Ballantyne recently, just days before the official grand opening. 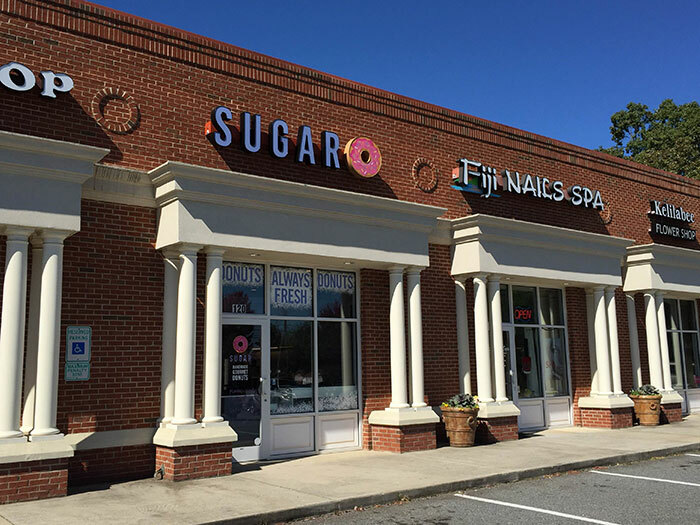 SUGAR is known for handmade, all natural donuts and pastries, all made from scratch and sourced from local North Carolina ingredients. 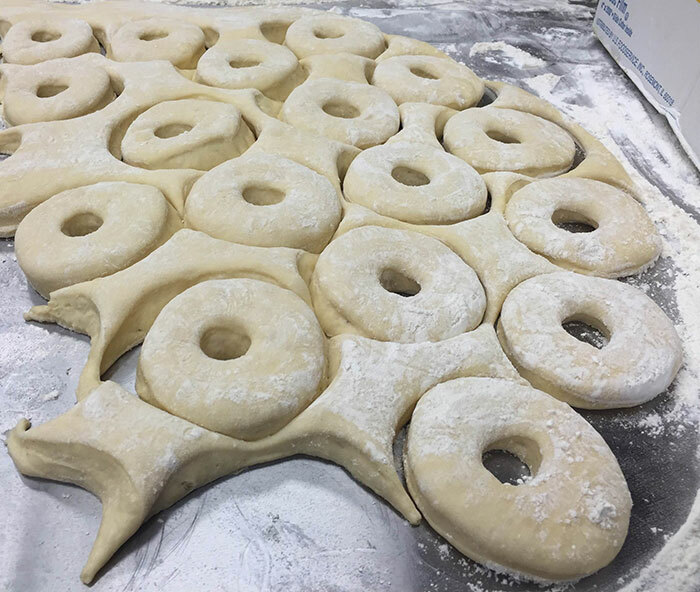 It takes a team of five pastry chefs six hours to make a single batch of these large, fluffy donuts, which are nothing like those served at popular chain donut shops. These donuts are the size of your fist; six donuts come in a box large enough for a full size cake. 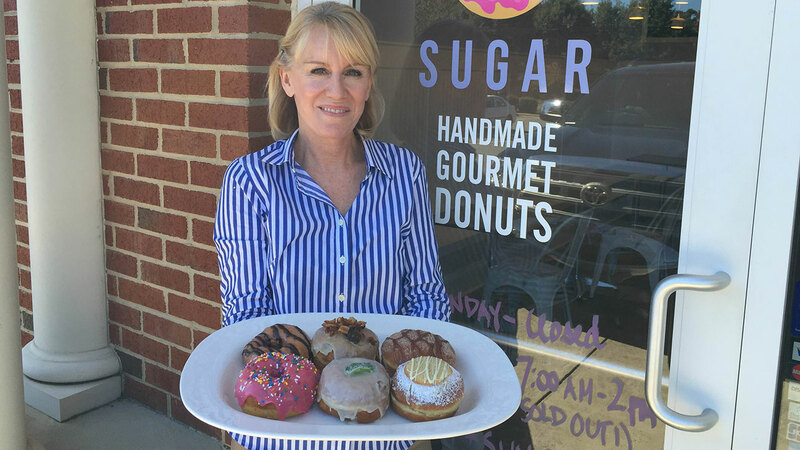 Owner Kathi Alexander opened SUGAR year ago after spending more than 20 years in healthcare marketing. “I spent most of my career around startups so it came naturally to me,” she says of the transition. 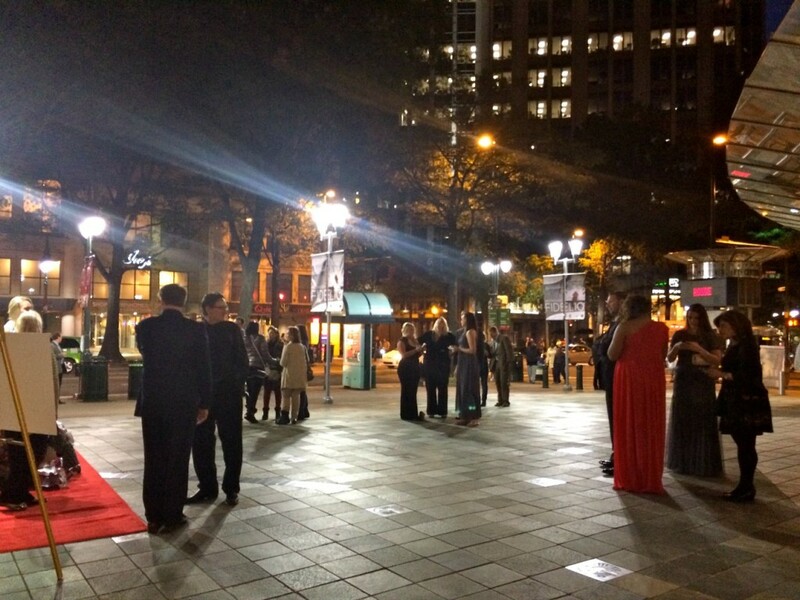 The startup is growing, thanks in part to its popular food truck, a recent profile in Carolina Bride magazine, and an expansion into catering weddings and other private events. 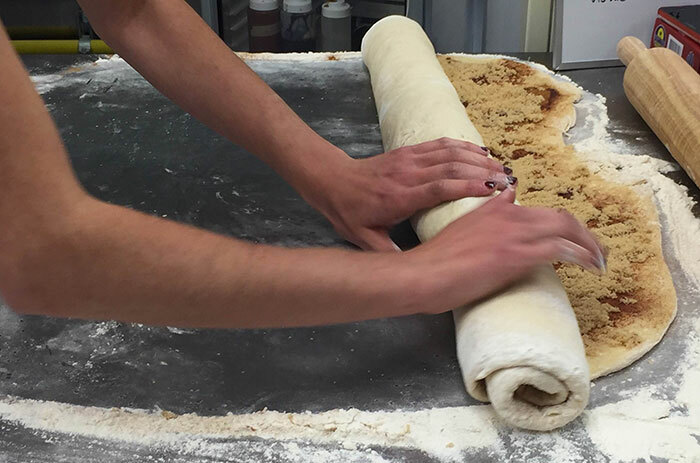 When Charlotte Agenda visited SUGAR this week we met pastry chefs Alyssa Stutzman and Naquan Groomes working in tandem in the kitchen. 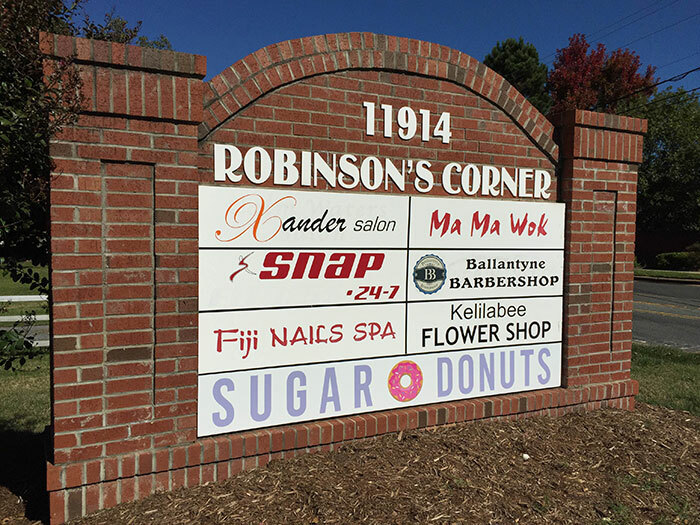 Both are Johnson & Wales grads; Stutzman has been with SUGAR since it opened while Groomes is a newer hire. 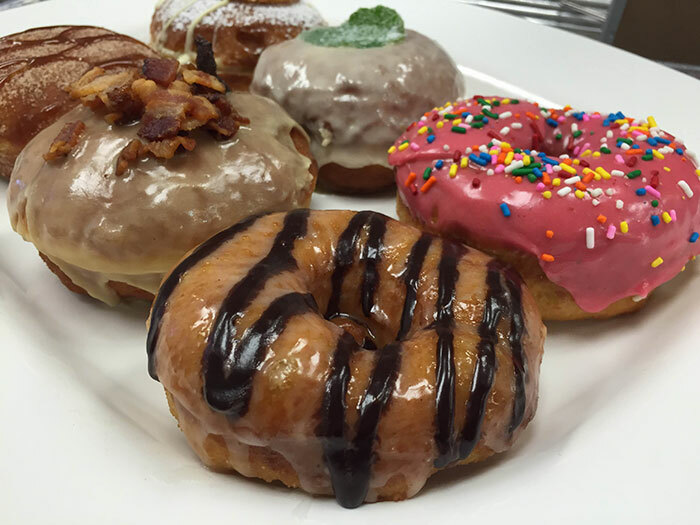 They moved in rhythm from a fryer to a cooling rack to a toppings station and back again, over and over again, a steady stream of piping hot donuts heading out to the storefront, even in the early afternoon. Customers strolled in; “I saw your signs and have been waiting for you to open!” was the most popular sentiment. The SUGAR menu will include a handful of the most popular flavors and a rotating group of more festive, seasonal flavors. 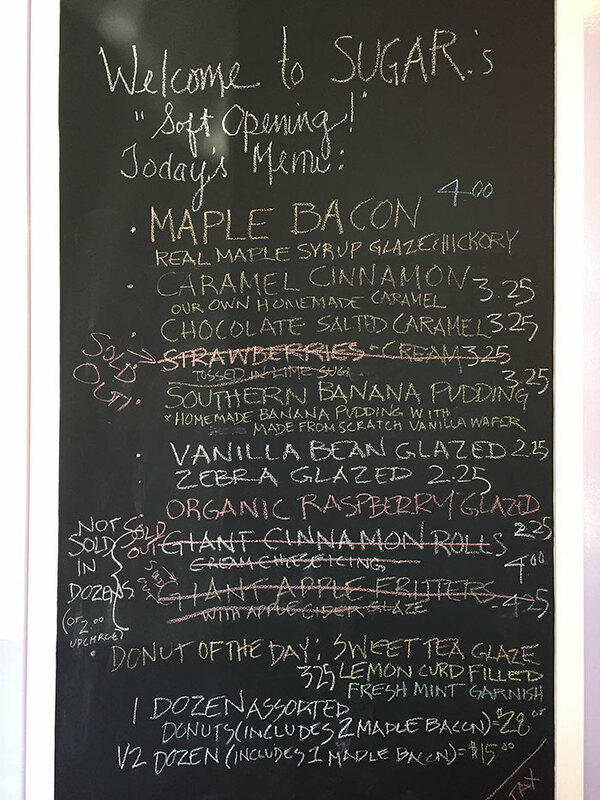 Maple bacon (which comes with large chunks of hickory smoked bacon) and vanilla bean are the two most popular flavors, Alexander says, while cinnamon rolls and apple fritters are their two most popular pastries. 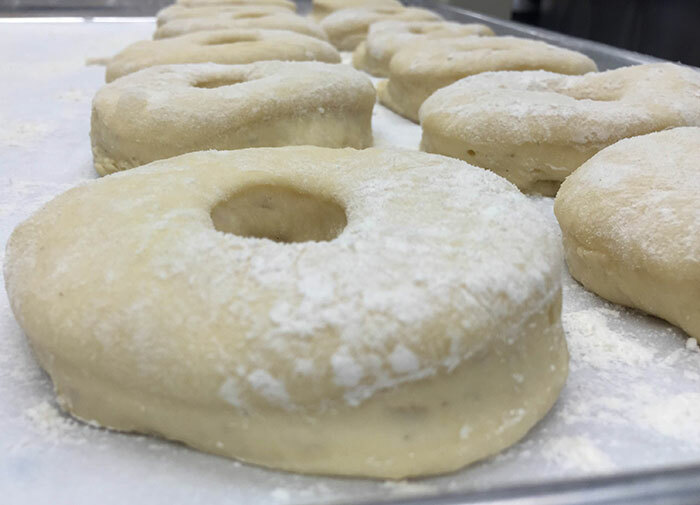 Individual donuts range from $2.25 to $4 each; a dozen and half dozen boxes are also available. The shop serves local Pure Intentions coffee, too. 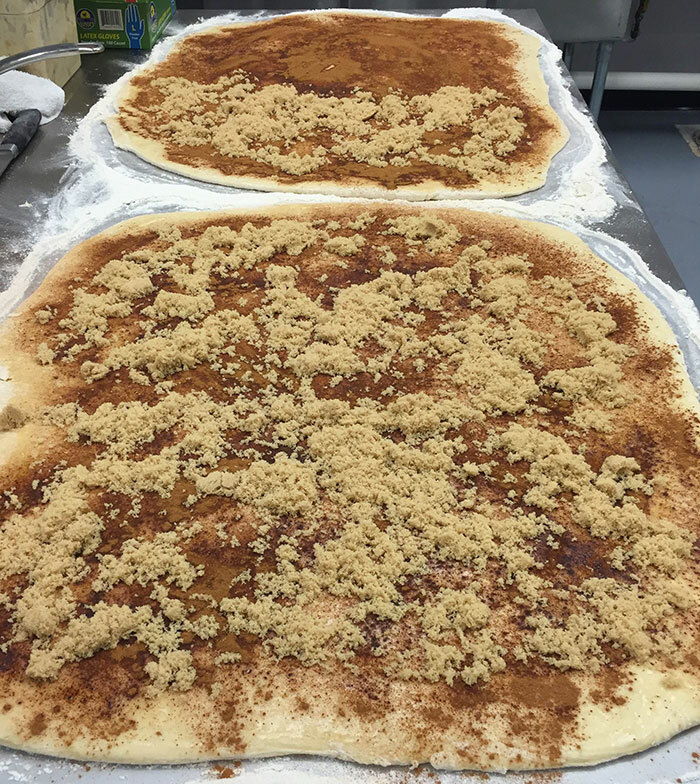 New additions to the menu this fall will include Southern banana pudding, pumpkin glazed, and gingerbread. Alexander says she’s adding a corn bread, jalapeño, bacon and cheddar cheese muffin to the menu, too. 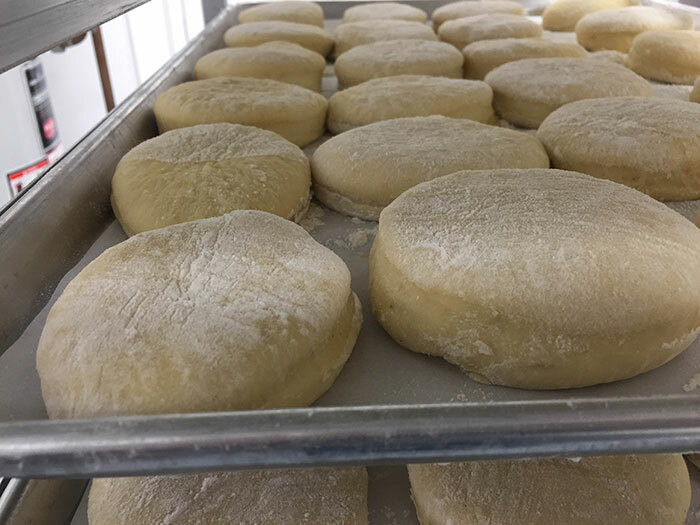 The new retail location provides for greater flexibility than their 22′ light blue food truck, she explains, most notably the ability to try different doughs and fillings, something fans of her food truck have asked about in the past.